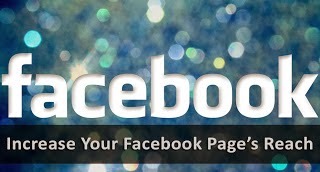 How To Make The New Facebook Algorithm Work For Your Page? Facebook, it seems, has taken out a leaf out of Google's books, and has started rolling updates to its EdgeRank algorithm - a scheme to rank content from Facebook pages based on a variety of different factors. Recently, many page admins have saw a significant drop in their total reach, and especially their organic reach. Organic reach is crucial for small businesses who don't have a vast budget for an extensive ad campaign. You can make this algorithm change to your advantage. How, you ask? As the saying goes, one man's loss is another man's gain. Facebook has, in a manner of speaking, kicked many down. The first ones back up stand to benefit. To the victor belong the spoils! This is indeed a time of vulnerability, as many pages have seen a significant drop in their organic reach. Facebook now wants businesses to pay in order to get reach. While large businesses can afford this inconvenience, smaller ones have other unconventional ways of gaining user visibility that are either free or very-low cost. Here are some ways in which you can use Facebook still to gain user-visibility and essentially a social reputation. Facebook contests are a tried and tested way of getting new followers quickly. In all likelihood, many of your competitors would be reeling from the shock drop in organic reach. You can target their audience in this way and inflate your user base. Most of your other strategies aren't going to be effective unless you have a large fan-base to start on. You can get twofold benefits from this strategy by asking people to 'Like' your Facebook Page, as well as subscribing to your mailing list in order to participate in the contest. This strategy, coupled with some smart advertising here and there (using Facebook ads) can help you grow your network exponentially. People like it when they can relate to something online. Providing customers with content specific to their location, such as a city or a neighborhood, gives off a sense of community. You can do this by offering local deals in specific store locations for walk-in business, or if you’re a global company, being aware of the specific languages in which you publish in. By customizing post visibility, you can choose that certain content is seen only by those in specific locations or by people speaking certain languages. Positive reviews about your business provide an excellent pretense for new customers to dig deeper into your page. People are increasingly using Facebook to do their research on a product before deciding to throw down some bucks. You can get positive reviews by asking your existing clients/customers who have had a good experience with you to directly lave feedback on your page. Build relationships with these customers, and make them feel important, because at the end of the day, word-of-mouth is the best thing a business can ask for. Users love being able to find all the information they need in one place such as locations, business hours, and contact info. This is a good idea, especially if your business offers frequent promotions or has fluctuating business hours during the holidays. The easier you make it for potential customers to access you and your business, the better! What most companies get wrong here is that they don’t leave a visible the link to their website above the fold on the “About” tab on Facebook, found right under the profile image. Another mistake often encountered is an extremely short â€œbioâ€ for the company. Some people will encounter you through Facebook first, and you want to make as an awesome impression on them as you can. Hardly anyone sends their friends a link to like a certain page that they don't own. But if you add an invite button to your website or Facebook page that lets them quickly invite many of their friends, you'll get a livelier response. This makes it easier for eager customers to promote your business to their friends. There's a lot of other small stuff you can do. For example, I hope I don't need to tell you to use an attractive cove photo for your page. Also, try to increase your post frequency. And please, avoid posting memes. Facebook has started cracking down on pages sharing too many memes that are 'low quality'. As to what pertains to low quality, that is unclear. So best to avoid shaky ground, and build your foundations on a solid one.